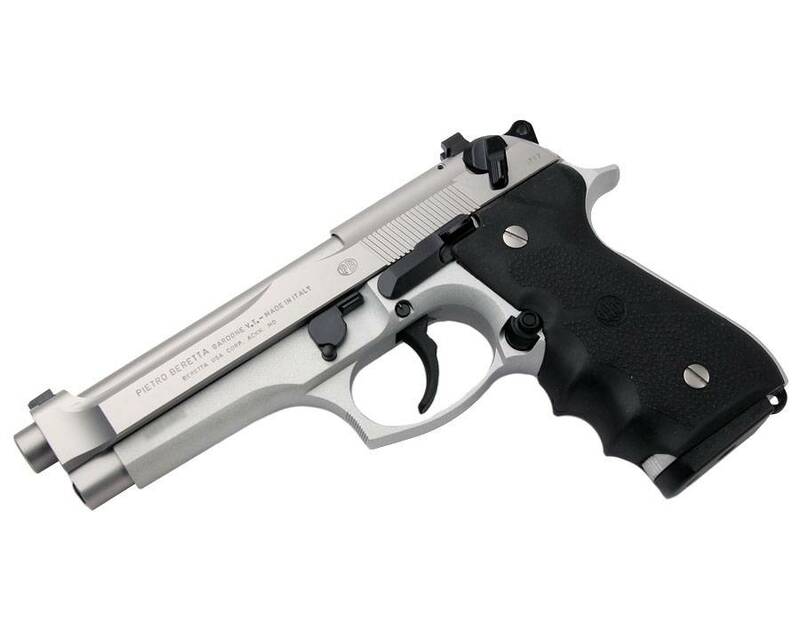 The Beretta 92FS Brigadier is designed to be a low-recoiling, high-durability version of the standard 92FS (M9) combat pistol. 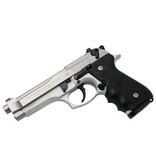 It is equally suited for home defense, competition, duty or concealed carry and more. 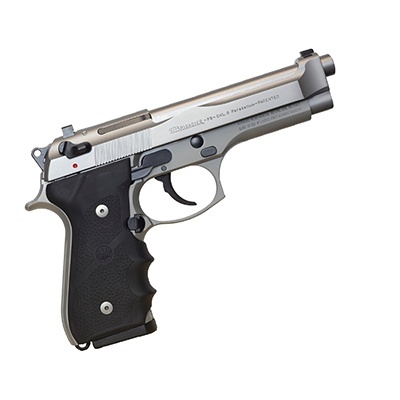 Like the standard 92FS, the 92FS Brigadier is a double/single-action semiauto pistol that employs an open-slide, short-recoil delayed locking-block system, which yields a faster cycle time and delivers exceptional accuracy and reliability. 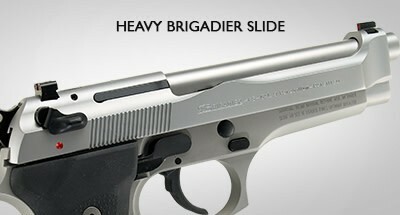 To minimize recoil, the slide features a heavy profile, which also enhances durability, and the grips are Hogue soft rubber wraparound panels that greatly absorb the momentum of the pistol upon firing. 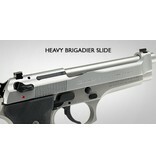 Other important features of the 92FS Brigadier include dovetailed front and rear sights. This Inox CA compliant model has a stainless steel frame and slide and 10-round magazine.